El Camaleón Golf Club at Mayakoba, an 18-hole, par-72 golf course winding through preserved mangroves. Designed by PGA legend Greg Norman, this challenging course is home to the annual PGA Tour OHL Classic. The golf club features a driving range, a short game practice facility, and customizable lessons through the Jim McLean Golf School. The Tennis Center at Mayakoba Resort, featuring four tennis courts and one paddle court. One-hour court rental fees are $75 (USD). Guided kayak tours perfect for exploring the lagoons and canals. A one-hour tour is $90 (USD) for a double kayak and $70 (USD) for a single kayak. The Mayakoba Connection Ferry Service, which connects you to the surrounding resorts. Croquet rental equipment and archery lessons for $25 (USD). Lessons are available for guests ages 10 and older. 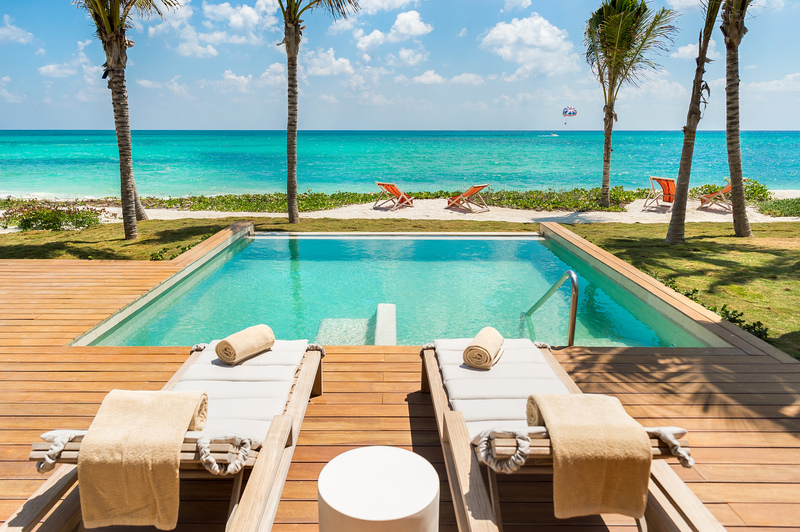 Additional activities can be arranged with the Andaz Mayakoba Resort Riviera Maya concierge or arranged at the Mayakoba Resort golf pro shop. Located at the Andaz Mayakoba, Naum Wellness and Spa offers various treatments and services. Learn more and book your services. Designed by legendary Australian golfer Greg Norman and inaugurated in 2006, El Camaleón Mayakoba Golf Course made golf history in 2007 when it became the home of the Mayakoba Golf Classic, the first PGA TOUR event to be contested outside the US and Canada. Like the chameleon, from which it takes its name, the course offers constantly changing views as it winds through three diverse ecosystems: the tropical Mayan jungle, mangrove wetlands and the Mexican Caribbean Sea coastline. Distinctive hazards such as cenotes (sink holes), extensive bunkers and crystal-clear fresh water canals are unique features of El Camaleón, certified by Audubon International for its commitment to the environment. Learn more and reserve a tee time.